Ever feel your feed costs are spiralling out of control? Me too. That's the problem with chicken math...you go from 3 hens to forty and it's only when you wonder where all your money is going, that you realise it's on chicken food! BUT....I have the answer.....fermented grain. 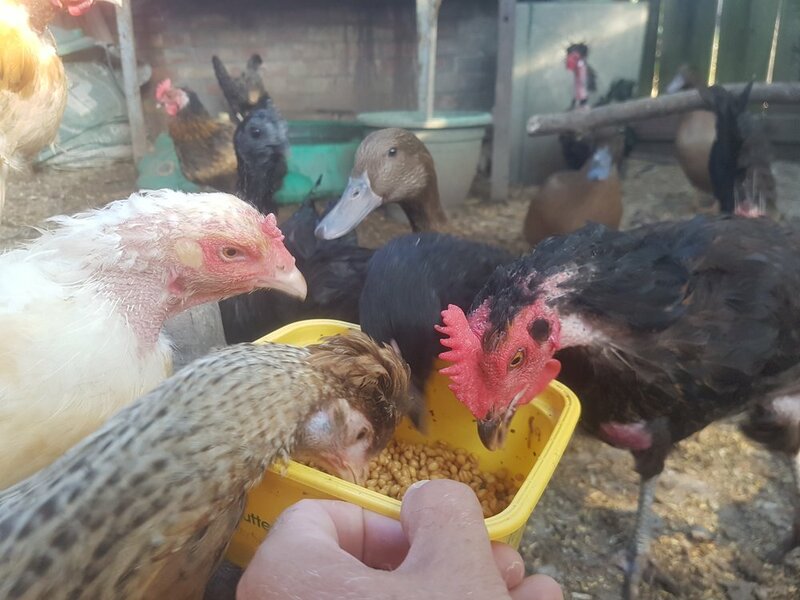 My chickens and ducks are fed on a basic diet of layers pellets and greens plucked directly from the garden. It's a simple mix that keeps them healthy. But even though layers pellets are fairly cheap, the costs can build up quickly. For example, I get through about 2, 25kg bags a week. At £7.10 each, that's £14.20 per week and £56.80 a month. Over the year, it's almost £700 on chicken food alone! Now, I love my chickens but I'm also trying to make money; so that £700 needs to decrease. It's cheaper. I buy a 25kg sack at £6.10. This lasts me TWO weeks and more than halves my layer pellet usage. So may yearly outlay for layers pellets has dropped to below £350 and the fermented grain costs me about £150. That means I've saved £200 already....and that's using peak season figures when I have my chicks and growers around AND the day length is longer so they eat more. It's better for the chickens. Fermented grain has beneficial bacteria to optimise chicken health. There's also a higher water content, helping to keep birds hydrated and lessen the amount you need to fill drinkers. 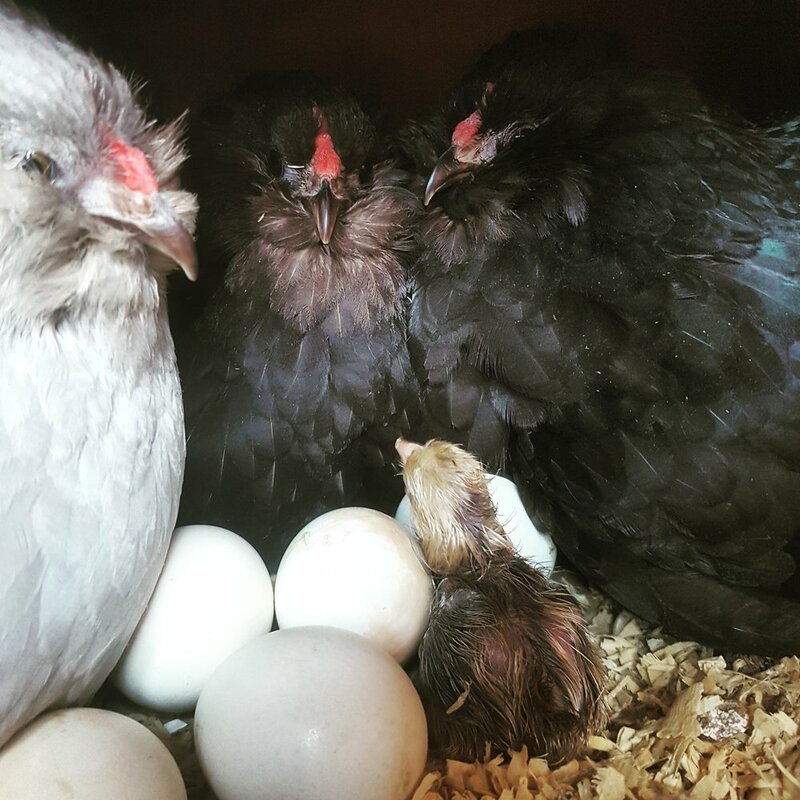 It keeps chickens feeling full. Chickens tend to be fast food eaters in that they'll just keep eating and eating and eating, especially when it comes to layers pellets. Fermented grain fills their crop and makes them feel full, satisfying their cravings. Not only this, because they're less interested in food, they'll spend more time dust bathing, preening and socialising, resulting in healthier, happier hens. Fermented grain ready to be fed to the chickens. Most feed stores will sell bags of grain ready for use. You should offer it IN ADDITION to layers pellets ideally to ensure your birds have all the nutrients they require for healthy laying. Soak some grains (I use barley) in a bucket, making sure the surface is always covered to prevent mould. Stir twice a day, topping up with water as the grains swell. 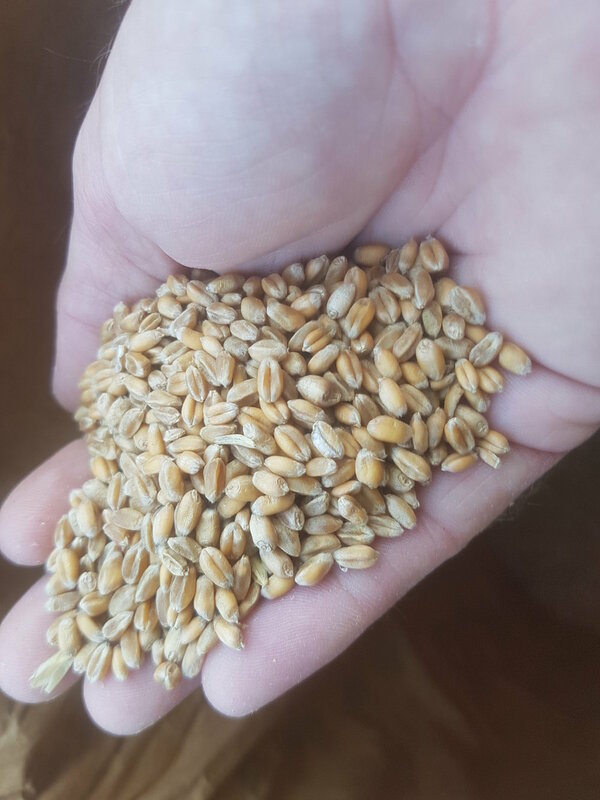 By day 3, the grain is ready to start being offered. You can either start another batch off, or simply add more grain and keep stirring so that you've got a continuous supply of barley fermented at various stages. I use a plastic flowerpot to scoop up the grain and allow the liquid to drain back into the bucket. If you're making a homemade fly trap, then this liquid is wonderful too as it REALLY attracts the flies too. The chickens and ducks tuck in. It really is that simple. By offering the ferment in addition to greens and live mealworms if you like (it's illegal to feed dried mealworms to your chickens here in the UK) you can significantly reduce your feed bill. Now...I know what you're thinking...less food cost per bird means....MORE birds right?! Spot on! After all, us poultry lovers abide by Chicken Math, right?! What do you feed your birds? I've love to hear below.